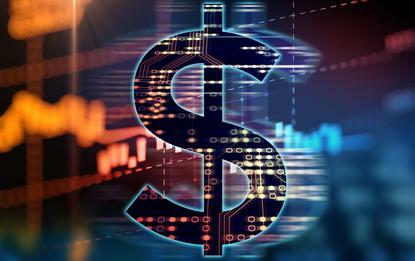 Information-sharing on fintech market trends will be easier between Australian and US companies as a result of a new agreement signed between the two nations. The Australian Securities and Investments Commission (ASIC) and the US Commodity Futures Trading Commission (CFTC), which protects market users and their funds, consumers, and the public from fraud, signed the Cooperation Arrangement on Financial Technology Innovation. On top of focusing on sharing information on fintech market trends and developments, the arrangement will also facilitate referrals of fintech companies interested in entering the others’ market, and sharing information and insight derived from each authority’s relevant sandbox, proofs of concept or innovation competitions. ASIC chair James Shipton said the arrangement will help encourage fintech and regtech innovation in both Australia and the US. "Technological changes are continuing to reshape financial services, markets and the regulatory landscape," Shipton said. "Today’s arrangement assists innovative businesses to grow across borders and allows for greater information sharing and cooperation by the two regulators." The FinTech Arrangement supports both authorities’ efforts to facilitate market-enhancing fintech innovation and ensures international cooperation on emerging regulatory best practices, ASIC said in a statement. Specifically, the arrangement is a way to enhance mutual understanding, identify market developments and trends, facilitate innovation in relation to financial technology and foster the use of technology for more effective and efficient regulation and oversight of financial markets and participants. "The signing of this arrangement with ASIC advances our mutual interest in facilitating technological innovation and development to enhance our respective markets," said J. Christopher Giancarlo, chairman at CFTC. A similar agreement was also signed between ASIC and the Luxembourg Commission de Surveillance du Secteur Financier (CSSF).